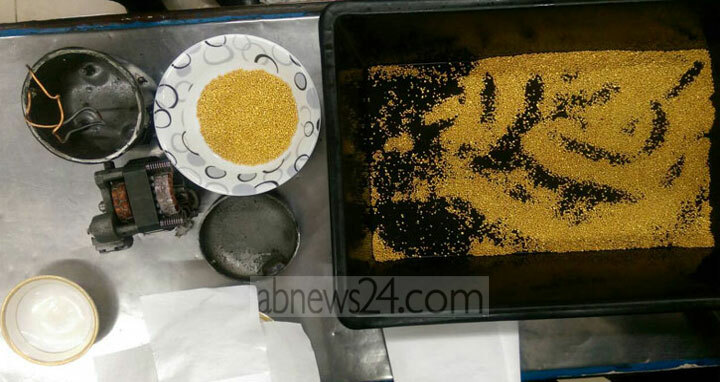 Dhaka, 29 Jan, Abnews: Customs officials have arrested an Indian citizen carrying bead-shaped gold, measuring almost 6 kilogrammes, from Dhaka’s Hazrat Shahjalal International Airport on Monday. The arrestee was identified as Soumik Dutta, who landed at Dhaka airport in a Regent Airways flight earlier around midnight. The gold beads weigh around 5.9kg and are worth around Tk 3 crore. The smuggler had hidden them inside a compressor of an automated water filter. A process is underway to file a case in this regard. The detainee was handed over to the airport police.